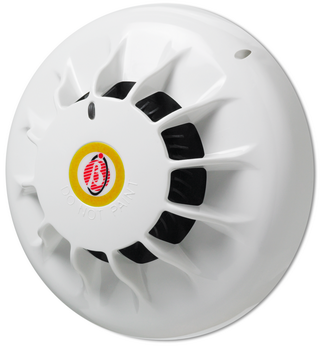 The FC400PH is a state-of-the-art smoke and heat detector which allows a full set of detection modes to be implemented in the FireClass 500 control panel to suit most smoke and heat detection applications. The FC400PH incorporates a unique “mousehole” design optical chamber with an unrivalled signal to noise ratio providing high resilience to dust and dirt which means reduced service costs. The unique design provides immunity to small insects and thrips without the need for a separate thrip filter. The FC400PH provides all the features of FireClass Digital Loop detectors. The 5B standard base or the FC450IB isolator base can be used with the FC400PH.